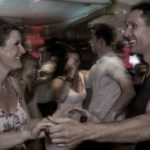 Join us on Friday, September 9 (8pm) for Tapas & Tango at Arthur Murray Dance Studios (6700 Conroy Windermere Rd, Orlando) for a night of dancing, great food, wine and most of all, FUN! Of course, wine always helps to break the ice when trying something new or outside of our comfort zone. We’ll have plenty, starting with a welcome glass before we get things started. Afterwards, we’ll toast our efforts with another glass paired with delicious tango-inspired tapas. Oh, and two lucky couples will win a $50 gift certificate to Bulla Gastrobar, opening this September in Winter Park. $30 per couple, including instruction, tapas and wine. Click here to purchase.